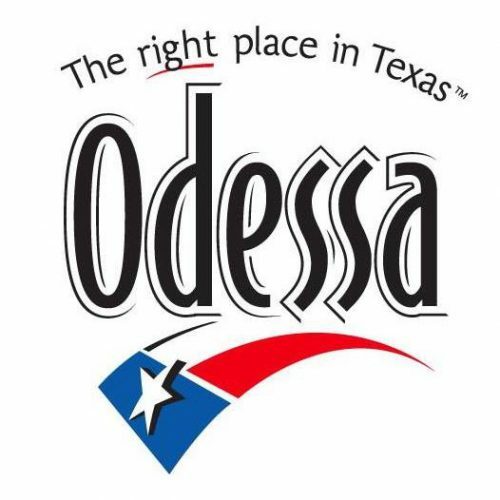 After denying and downplaying a fight that happened between city officials last October, the City of Odessa was forced by the Texas attorney general to release a report detailing the incident to the newspaper the Odessa American. The original incident was between Odessa city councilman Malcolm Hamilton and interim city attorney Gary Landers. Hamilton does have a history of making controversial statements but has stated the released report doesn’t accurately portray how he acted in the conflict. Below is the transcript of a conversation between Marfa Public Radio’s Mitch Borden and Paul Wedding, the reporter who recently wrote an article about the situation. MB: Hi, Paul thanks for speaking with me today. How are you doing? PW: I’m doing well thanks for having me. MB: So just to start us off could you take us through what your article is about and what happened after that October city council meeting? PW: Sure, we had heard rumors from some people inside the city that there had been some kind of fight between [Odessa] district 1 city councilmember Malcolm Hamilton and interim city attorney Gary Landers, but I couldn’t really get anyone on the record at the city to talk about it. MB: So, basically the reason an article came out about a meeting in October is because you didn’t get the paperwork until now? PW: Right, we had filed an [Freedom of Information] request requesting for any emails, any possible police statements or reports given related to this incident. The city sent it off to the [Texas] attorney general’s office to challenge it. So we were waiting two or three months for this. Just a couple of weeks ago in mid-January, we got the ruling from the attorney general saying that they were required to give us the basic info and the line that really stuck out to me was that some of the info would not be released due to the fact that it could interfere with an ongoing police investigation. MB: So basically, you get this police report back that some people denied even existed and what does it show that happened between Malcolm Hamilton and Gary Landers? PW: The report detailed that basically after the meeting, the October 9th meeting, that Hamilton had been yelling and swearing at Landers and saying ‘you need to respect me’ and he felt he was not being treated the same way as other council members. Apparently, the city spokesperson had led an officer into the room. She was another person that told me she had just heard rumors about the incident when it sounds like she clearly had heard something was going on at the time. So, apparently, the police officer let Hamilton out of the room and when he came back Landers gave him a rundown on the incident and said he wanted this all documented because he felt threatened and he was worried Hamilton was going to assault him. MB: From your perspective being a reporter, what is the story here? Is the story that there was this argument or is the story that the city didn’t want to release the police report? PW: I think the take away is that the city is very concerned with its image and it will go to great lengths to make sure that anything potentially embarrassing for them doesn’t get out. It seems like there was a lot of collaboration that the info about this didn’t get out. There is still a lot of info we don’t know. There’s another statement that was taken by a Steve Davis that we don’t have and we’re still trying to get info. I just sent in another [Freedom of Information request] asking for that info again yesterday. MB: Paul Wedding, a reporter with the Odessa American. Thanks, Paul for joining me to me today. PW: Thanks for having me. This entry was posted in KRTS News and tagged City of Odessa, Gary Landers, Malcolm Hamilton, Odessa, Odessa American, Odessa City Council, Paul Wedding. Bookmark the permalink.